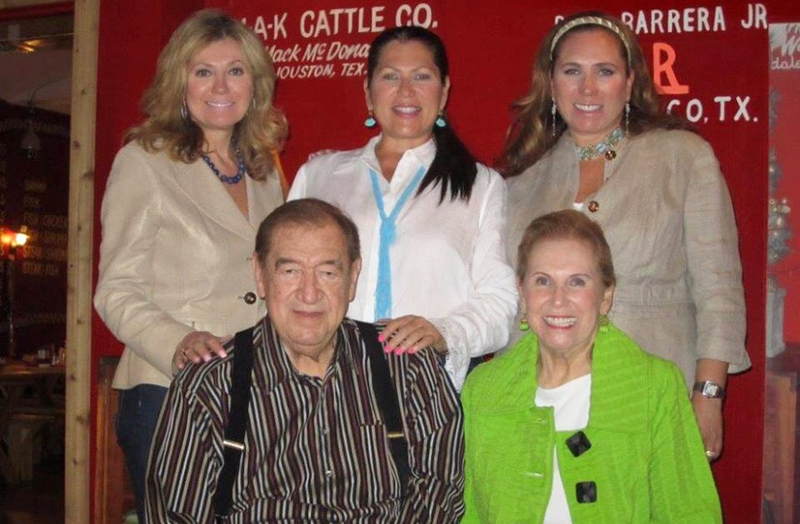 The Little Red Barn Steakhouse, a family owned business created by Ralph and Lili Hernandez, opened its doors on Labor Day in 1963. Ralph took an old meat market and converted it into a unique steakhouse experience. He painted the building bright red, built picnic tables for seating, and had the menu painted on the walls. When the doors opened, Ralph doubled as the butcher and cook and Lili, worked as a waitress and cashier. Their daughters grew up working the restaurant on weekends. They started with 8 tables that seated 32 diners. Today the restaurant has grown into one of the largest steakhouse's in the country and can seat over 800 people at one time. The western atmosphere, fast service, and excellent steaks at great prices became the formula for success . The minute you walk into the restaurant you are greeted by a hostess in a cowboy hat and boots. Although the restaurant may be buzzing with people, you are immediately seated with your salad served and your order taken. Fast service is a hallmark of the Little Red Barn. The restaurant has become a favorite amongst local politicians, businessmen and tourists. The Little Red Barn is not just a steakhouse, it is a place where you are greeted with a smile and surrounded by a complete western atmosphere. You can't help to notice the menu on the walls along with the many cattle brands of local ranchers. This restaurant is a place where the employees are treated like family and the customers are served like guests. The restaurant remains a family business. Two of Ralph and Lili's daughters, Marissa Garcia and Nancy Hernandez, are there to make sure you will enjoy Great Service and Hospitality, and Quality products at a great price. As part of its devotion to the culture, history and traditions of Texas, The Little Red Barn Steakhouse prominently displays cattle brands from Texas and Mexico throughout the restaurant. The hundreds of cattle brands on display were provided by the cattlemen, ranchers and families who have been part of the Texas tradition. As part of our 50th Anniversary celebration ,The Little Red Barn Steakhouse seeks to honor those families who have so generously contributed to the display of their brand by publishing in a single collection the family history behind the brand.